Nearly every standard Business Object has some structure named “AdministrativeData”. Up to now those information has to be manually inserted in case it is needed in a Custom Business Object. 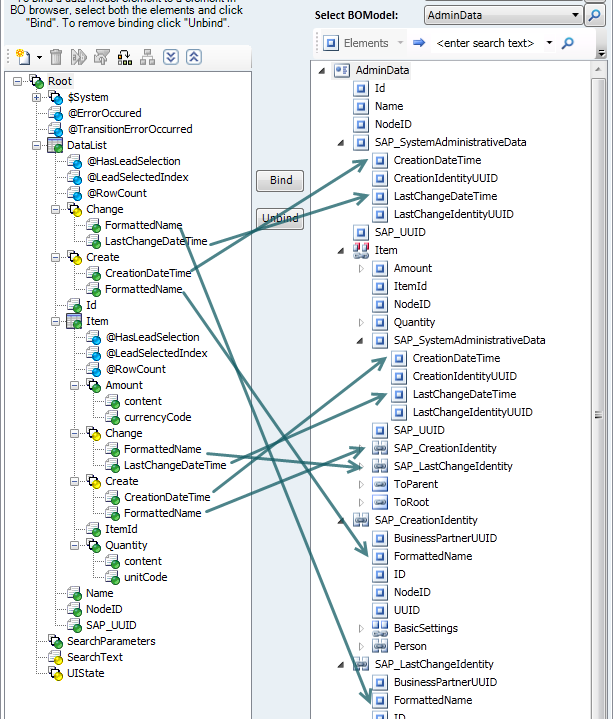 Insert 2 associations to the Business Object Identity pointing to the instances of the creator and last changer. Add a determination which fills the fields of the administrative structure on saving of the instance. Nothing of these will be visible in the code defining the Custom Business Object, but you can use the associations in the scripting or in the UI. Furthermore SADL queries can be built on the elements of the structure. Let me explain this with an example. Add the annotation WithAdministrativeData at each node you required the above described features. In this example I have added the administrative data structure to the Root node and the Item node. Let’s have a look at the OWL because here we can show the data in the preview area as well as we can define the SADL query here. All are prefixed with “SAP_” to prevent any clashes with elements or associations created by the developer. Let’s have a look at the Root node. The same goes for the Item node with the respective elements and associations in the BO model at the Item node. Of course you can use the queries at the BO nodes to query for an instance w.r.t a special creation or last change date. But as the structure SAP_SystemAdministrativeData contains only the UUID for the identity of the creator / last changer you need a SADL query. Simply go to the Controller -> Query section and create via the context menu a SADL query. 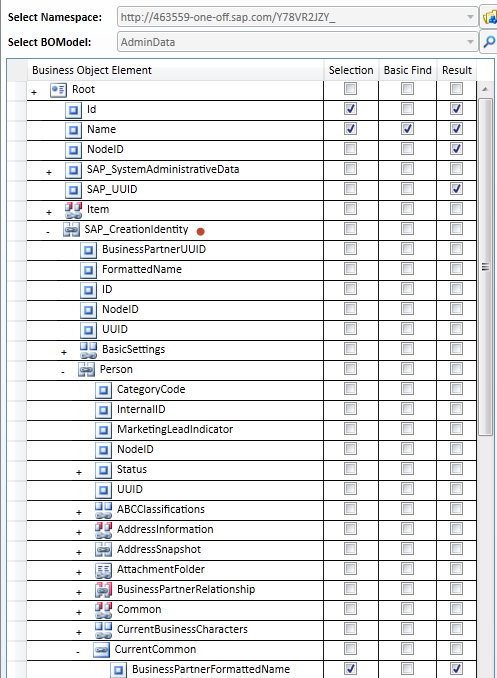 Map the result list and the BO model and you can choose all fields from the BO model including the elements inside the SAP_SystemAdministrativeData. For the real name you start from the associations SAP_CreationIdentity and SAP_LastChangeIdentity, but you need to select the Person -> CurrentCommon -> BusinessPartnerFormattedName as the resp. field at the Identity BO is transient.